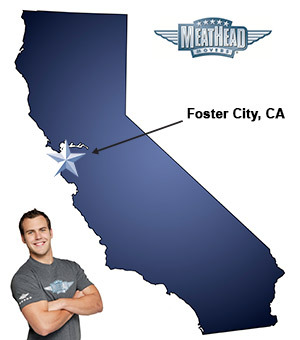 If your future includes a move to Foster City, check out Meathead Movers! Our professionally trained student-athlete movers, moving concierge, and princess packers are prepared to get you safely moved into your new Foster City home. When you make your move to Foster City, be sure to contact Meathead Movers. No matter what type of moving service you need, our student-athlete movers are ready to handle all your moving needs. Welcome to Meathead Movers of Foster City! If you are moving to or from anywhere in Foster City, we are the moving company for you! Our professionally trained student-athlete movers and our moving concierge service are here to help you with every stage of your move in Foster City. Strategically located 25 miles south of San Francisco, Foster City is a great place to live, play, and work in. According to Forbes, in 2009 Foster City was ranked #10 in towns to live well. This could be because of the city’s proximity to both San Francisco and Silicon Valley. It could also be because of the city’s innovative lagoon system, which allows for plenty of recreation, high value homes, and world-class office spaces. If you are looking forward to a move to Foster City, Meathead Movers is here to help! Our moving company specializes in local, long-distance, and commercial moves to, from, and within Foster City. We also provide reliable packing, storage, on-site relocations, and our distinctive moving concierge service, which connects you with local service providers. All our student-athlete movers are thoroughly screened and trained before their first move. With branches not just in Foster City, but all throughout California, we are your one-stop resource for all your moving needs, no matter where your California move takes you. In fact, you can see what your neighbors in Foster City have to say about us. With our 100% satisfaction guarantee, the only thing you have to lose is the stress that comes from moving! So contact us today for a free no-obligation moving quote and to learn how we can help you on your next move! Moving to Foster City? Here are some helpful resources. View more Foster City resources. The movers were very efficient, professional, polite. They went above and beyond to make sure that I was happy with everything. They went out of their way to get two large pieces of furniture into a room with limited entry. It was a narrow hallway with a low ceiling. They didn't hesitate at all and figured out a way to make it work. I truly appreciate their effort and persistence. They were awesome! Speed of packing and loading, even unloading. Price is reasonable. Very easy to get things setup, especially if you are a return customer. Every time we move, we constantly get asked by on-lookers on how to get Meathead to move them. I do find that members of the various teams all know each other, and this seems to help with making the customer service better than your typical mover. Every employee is friendly and seems to have helping their customer as a high priority. Everyone works with you in what ever ways you need.